Dr Miguel Ojeda Rios MD first Seminar in the US was a complete success. We had attendees from different parts of the world: Canada, Australia, Ireland, New Zealand, Trinidad and Tobago, Mexico, Holland, Chile and of course, from the US! The information he shared with us was fenomenal and practical. 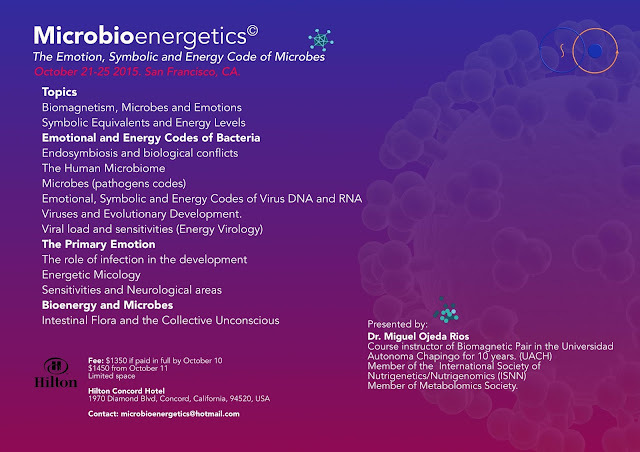 He has been doing an amazing research during the last few years on the Emotional, Energetic, Genetic and Transgenerational causes of disease and how it relates to Microbes, which helps us explain why certain people tend to pick up certain specific pathogens while others don't. 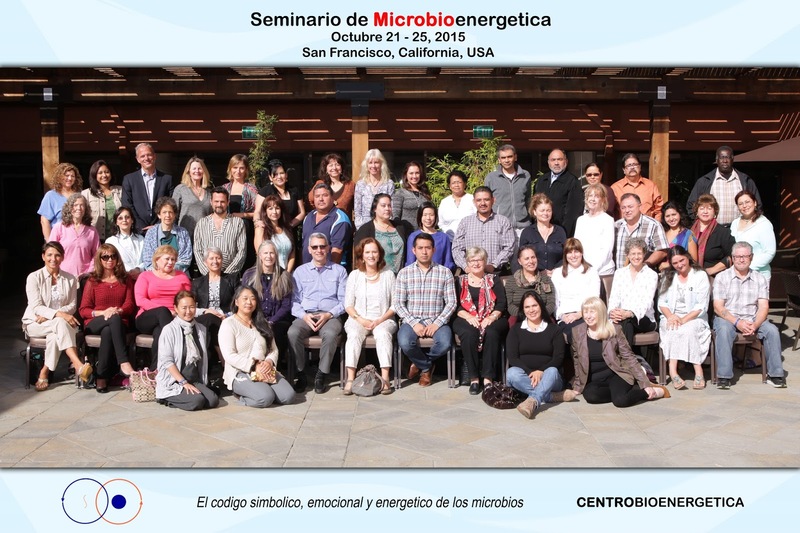 He discovered that these pathogens are actually here to teach us and help us overcome fears, traumas and other emotional issues. 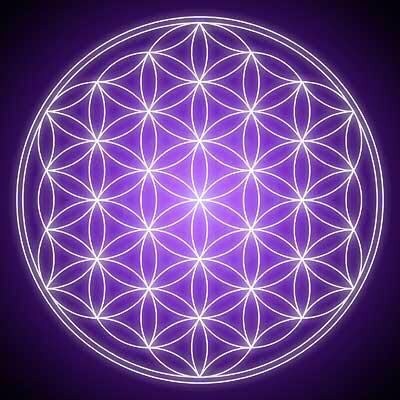 As we learn about this subject and we apply the tecniques ha has been developing and integrate them as part of our therapy treatments, patients get better faster and illness tend not to reocurr. 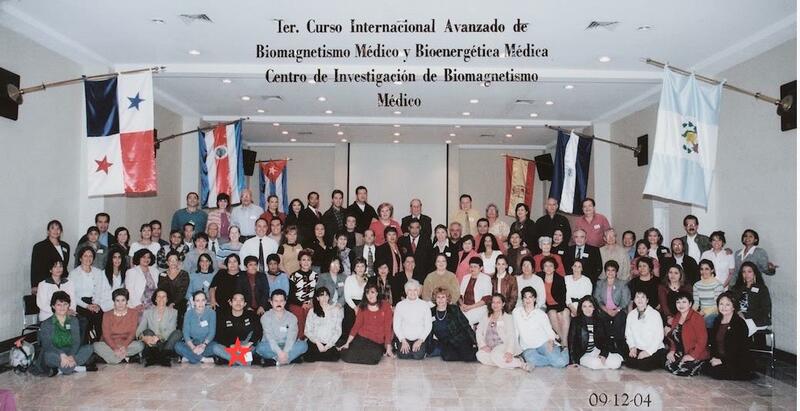 He has an extensive experience with patients at his busy clinic in Mexico City, as well being a Biomagnetism and Bioenergetics Instructor for over 10 years at the University of Chapingo UACH in Mexico, he is a member of the International Society of Nutrigenetics/Nutrigenomics ISNN, of the Institute of Noetic Sciences IONS, and of the Metabolomics Society, plus many other interests and trainings in Microbiology and Virology. I think this is the best thing that Dr Miguel Ojeda Rios arranged this type of seminar. It may helpful for many people to get rid of thier worries or stresses or overcome thier fears. In my opinion, more seminars like this should be arranged.